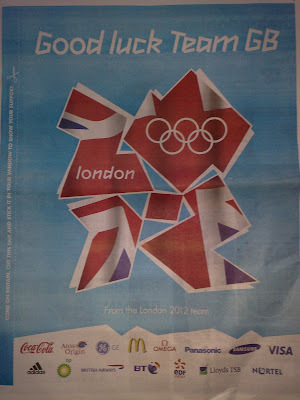 The London 2012 Olympic organising team ran an ad in today's londonpaper wishing Team GB good luck in the Beijing Olympics. I thought this was a nice touch, as well as being a clever way of re-presenting the 2012 logo and trying to capitalise on the good will around the Olympics. My Dear Second Brother on the Right - new Olympic hero has no name and is not even competing!